Want to express yourself and connect with the world? Now, if you are nodding your head, you are all set to start blogging! For every newbie blogger, I would suggest you start with the best and free blogging platform. Why So? 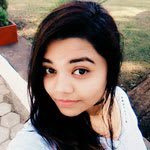 According to my experience of blogging, I preferred to play a lot with HTML & CSS code to get the perfect look and feel I wished to have. Tried many tools and plugins where with some I came up with bright results and some crushed my blog very badly!! Therefore, you should strongly consider investing in choosing the right blogging platform that..
..makes the process faster, is user-friendly, easier and more effective! You can launch the blog theme later when you see your blog is turning into a big hit! 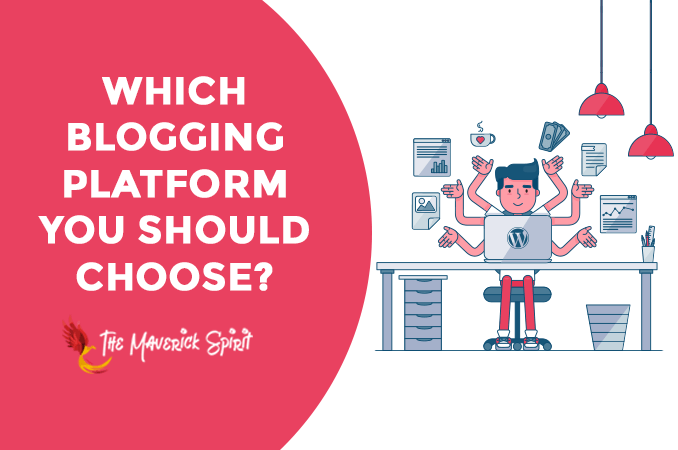 Now, how to know which blogging platform is best for you? Well, today in this guide I’ve collaborated best 10 free and paid blogging platform sites comparison..
..to start a blog and make money. This list of blog sites is compared on the basis of – how they work, key features, and a list of pros & cons. WordPress.org is an open source software used by 27% of the web. It gives you the freedom to create beautiful websites, blog or app designs along with priceless powerful features. Start using this blogging software by signing up with a Web hosting service provider. Know – Why Bluehost is the best web hosting to go with? I have listed out some tips to search and pick the best domain for your business. You get plenty of free themes which comes with lots of customization and designing options. Over 45,000 plugins if one wants to define but in reality, WordPress.org offers countless plugins. Full-time bloggers, Hobby bloggers, Money making professional bloggers, etc. WordPress.com is the is the most popular personal blog hosting site that is created using WordPress. 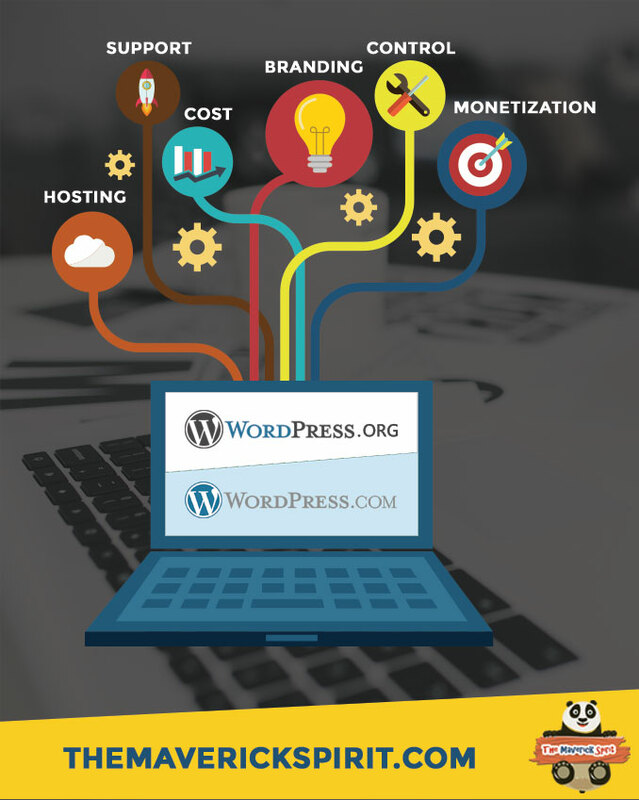 In order to start blogging in no time, you need to sign up @WordPress.com. Consists of 3 plans which ranges from $2.99 to $24.92 with a custom domain name. 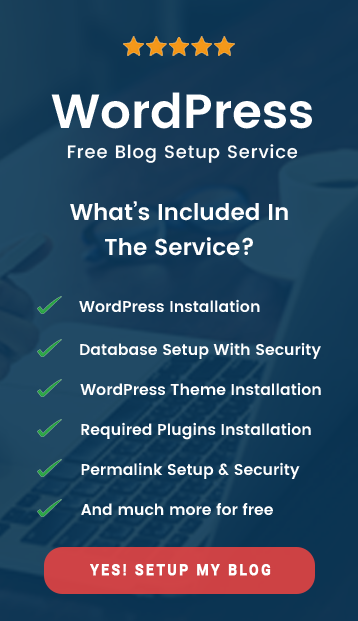 In addition to these plans, WordPress.com also introduces a Free plan i.e. $0 with WordPress.com subdomain. By default, you get WordPress.com subdomain but you can apply for a custom domain by choosing one of its pricing plans. Free & Premium theme designs are available to set up your website based on types, features, layouts, and colors. Very limited. Jetpack essential features, Google Analytics integration, Advanced SEO, VideoPress support, Email & Live Chat support. You can start a blog for $0. No third party plugins integration. WordPress.com can overpower your blog if it finds your actions against their rules and policies. 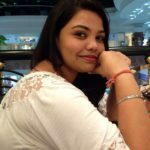 A blogger who wants to start a blog with zero or less investment. Blogger is a free blogging platform run by Google and so it requires Google account to get the things on the roll. It’s easy and free which let you publish your passion by creating unique and beautiful blogs. Get Free domain like blogspot.com and you can even buy a custom domain with few clicks away. Provides easy to use templates with flexible layouts and hundreds of background images. Earn money from Google Adsense integration, Built-in analytics to know your audience well, Google Analytics integration. No technical skill is required to set up a blog. Google’s robust secure platform and reliability guaranteed. No notifications for the latest updates and features. Google can suspend your blog right away if found actions against its policy. Personal bloggers and hobby bloggers. Tumblr is a different blogging platform when compared to others. It is a microblogging platform with strong social network character where you can follow, reblog, put anything you want using 7 seven types. Tumblr is 328 different blogs, filled with literally whatever featuring – stories, photos, GIFs, fashion, art, travel, quotes, songs, jokes, etc. Tumblr takes care of it. By default, you get tumblr.com subdomain plus you can opt for custom domain too. Ranges from Free to Paid. Apart from blogging platform, you get to build social network too. No plugins and Extensions included. Limited features to use when compared to other blogging platforms. Squarespace all in one platform provide all the tools to make a world class website. Powers millions of websites across hundreds of industries for over 1,000,000 paying customers. Just add and arrange your content and features anywhere you want with a click of a mouse. Start showcasing a portfolio, publish a blog, or business posts using Squarespace’s designer templates to present your ideas online. Start with Free Trial (No credit card required.) It has 2 pricing plans for websites and online stores. Handles everything as the service is cloud-based. Featured plugin collection integrated along with external plugin integration. Analytics to track the traffic and behavior of customers. 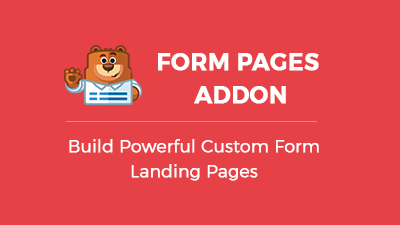 Customization options include personalizing fonts, colors, and layouts. Can get expensive with time. Business owners, Artists, Photographers, Restaurants and Cafe owners, Musicians etc. Wix is a free website builder which allow you to create a free website. Designer-made templates, beautiful galleries, huge image collection, SEO, 24/7 full support and more – all wrapped up in one free website builder. Over 90 Million People in 180 Countries Choose Wix. A web hosting service which provides user-friendly website builder online. Start with a Free plan and Upgrade your site with premium plans. 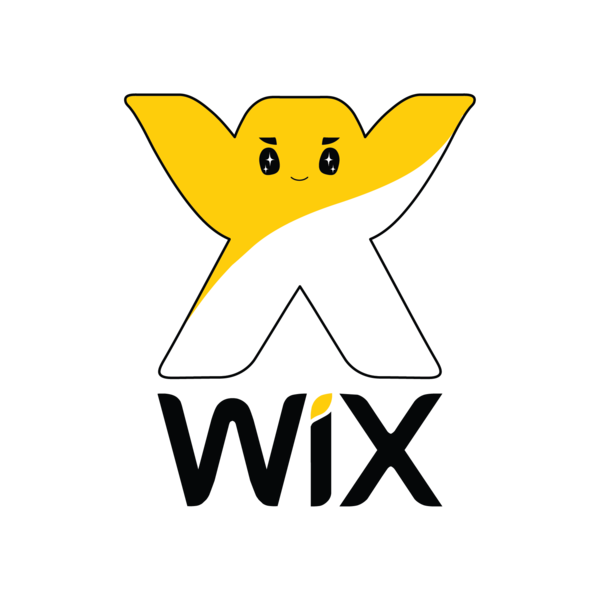 With the Free plan, you get Wix.com subdomain. You can choose your own domain using premium plan or Connect Wix site to a domain you already own. Plenty of designs to choose from. Comes with essential plugin integration. Later you can use Wix app market. Wix gives you 500MB of storage and 1GB bandwidth for free. With the premium plan, you get 50 GB and unlimited storage. Business owners, Photographers, Creatives, and people with less techy skills. Weebly is great website creation blogging platform for businesses. It provides websites, eCommerce, and marketing all at one place. Start creating a high-quality website, blog or online store. Used by over 40 million people and rated as one of Time’s 50 best websites. You can start with Free plan and alter can select from 4 plans. Register, manage and host a domain with your website. You have to buy your personal domain name by purchasing any plan on the Weebly platform. Provides plenty of templates in various niches. 200 high-quality apps with advanced features like appointment scheduling, accounting, live chat and more. The app is featured on Google and Play store. All passionate bloggers and marketers. Joomla is an open source content management system which provides a user-friendly platform to build websites. 200 MB Free and reliable hosting. Upgrade to get a custom domain. Thousands of designs to choose from and free templates included. Extensions are available. Social media, Google Map, Google Analytics, Disqus Comments. You have to take care of security, backup, and updates. Fewer add-ons when compared to WordPress. Ghost is a fully open source professional publishing platform for building and running a modern online publication. It is a non-profit organization with a fully managed PaaS building technology for the future of journalism. Ghost has 4 pricing plans starting from $19 for personal bloggers to $199 for business needs of serious publishing enterprises. Included in Ghost Pro. For a downloadable version, you have to look for it. You can opt for an external domain. It is not included in the listed plans. You get to choose from Free to Premium themes. Pro bloggers or Business bloggers. Medium is a publishing platform where all bloggers, journalists, experts and writers share their blog posts, stories, and opinions. All the posts published under individual profiles. Individual stories get custom URL rather than individual profiles. The Same design is provided to all. Others can collaborate with your write-up. No plugins and extensions available. One who wants to share their stories. Hope these 10 best and free blogging platform sites will help you to choose the right blog platform according to your need. best and responsive personal blog WordPress themes. 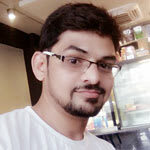 Thank a ton for sharing the info on the different blogging sites available in the market. This would really help people who get confused while opting the right blog site for their niche. Keep Writing. Thanks for the read, Pradeep! I have to admit that wordpress.com is my favorite platform, but it was nice to have all of the platform’s features in one place so that I can easily compare them! This is great information. I honestly didn’t know there were so many platforms. It is so tough to keep up with all the platforms, especially when one promotes themselves as a maven of SEO. Lots to read up on before looking for clients! We are on wordpress self hosted. We started the blog selft hosted. It’s been great. I want to create another blog website so I’ve been debating between creating eblogger or wordpress site, but its apparent that WP is definitely my best option. Thanks for the insight! I currently have a blog on Blogger, but I hope to make the switch to WordPress. I know it’ll be better in the long run. I personally am a fan of WordPress. I started my website on WordPress and would make the same decision again. Hope your sister find the article helpful and she chooses the best blogging platform.!! I’ve started with WordPress and I am still sticking with it. It’s great! Curse you “enter” button…. meant to add that it’s very user-friendly and there is a huge community in terms of forums and youtube tutorials for anything WordPress related. I simply love it.